The quantitative model of the Earth is provided by optical and radar space-borne remote sensing global digital elevation models (GDEMs). GDEMs are fundamental for many geo-spatial analysis and demanded by several applications that need topographical data. Recently released ALOS World 3D 30 m (AW3D30) and 1 arc-second (~ 30 m) Shuttle Radar Topography Mission (SRTM) C-band GDEMs have the advantages of high quality and free availability from JAXA and NASA and much in demand in scientific community. 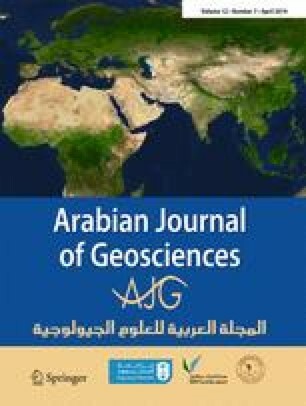 In this paper, we comprehensively analyzed the discontinuities between AW3D30 and SRTM C-band GDEMs in country-scale calculating and interpreting the influence of terrain inclination and land cover classes. The coherence between two GDEMs was estimated by absolute horizontal and vertical accuracy analysis in the basis of model-to-model validation approaches. During the analysis, standard deviation and normalized median absolute deviation of height differences between GDEMs were utilized as the main coherence indicators. The frequency distribution of height differences and the incoherent outliers were presented by error distribution graphics and height error maps, respectively. The results clearly demonstrated the significance of ascending and descending orbits, terrain inclination, and land cover on the discontinuities. We would like to thank NASA and JAXA for freely supporting 1 arc-second SRTM C-band and AW3D30 GDEMs.